I’ve always considered Dig Dug/Taizo Hori to be one sadistic individual. 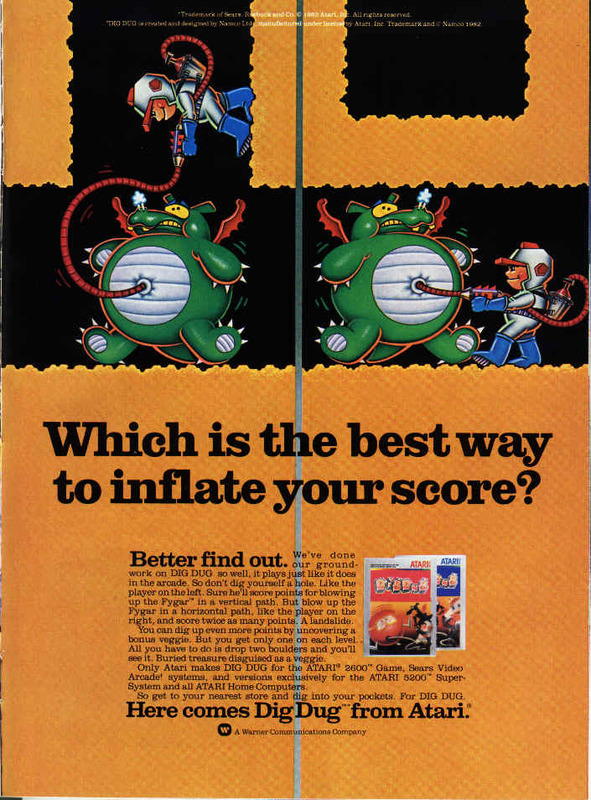 Dig Dug is another of Namco’s early hits brought to home consoles by Atari. The company continues to reference the game in many other series like Ridge Racer and Mr Driller, and always includes it in the Namco Museum collections. This ad is for the Atari 2600 and 5200 versions.